In a presentation at Advertising Week, FreeWheel CRO James Rooke characterized the migration of viewing outside of desktops as being the advent of the “new living room.” Critical to this is that FreeWheel found that long-form on-demand viewing, which is primarily entertainment, grew 37% year-over-year, ahead of live content (primarily sports) which was up 23% and short-form on-demand, which was up 25%. Long-form, lean-back viewing is greatly helped by connected devices that enable watching on the big TV screen. Overall, FreeWheel found year-over-year video views grew 24%, while ad views grew 28%. FreeWheel interpreted this as a sign that content providers improving their ability to monetize video views. 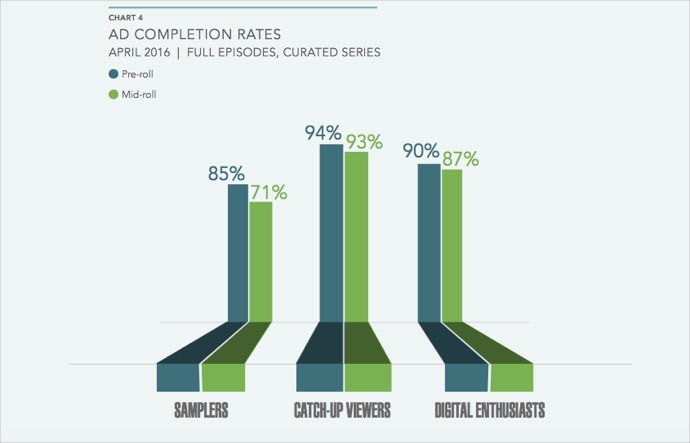 Samplers watch less than half the episodes they tune into all the way through, whereas the other 2 types of viewers watch more than half to completion. Catch-Up Viewers watch mid-roll ads to completion 93% of the time, whereas Digital Enthusiasts do so 87% of the time and Samplers just 71%. Samplers ad drop-off rate of 24% is double that of Catch-Up Viewers. 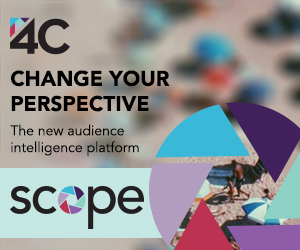 FreeWheel found that a Catch-Up Viewer generates 1.7 times more ad impressions than a Sampler, and a Digital Enthusiast generates 7.3 times more ad impressions than a Sampler. That led FreeWheel to conclude there’s a big opportunity to try to convert Samplers to more regular viewers. One suggested way of doing so is to serve a lower ad load initially to Samplers to get them more immersed in a TV show. FreeWheel recommends content providers be more rigorous in segmenting audiences and customizing their experiences. FreeWheel also shared insights about automated or programmatic transactions, which were up 59% year-over-year. “Digital Pure-Play” providers derived over a quarter of their ad monetization outside of their direct sales channels in Q2, vs. 9% for Programmers. Private marketplaces accounted for the majority of growth in automated transactions. As always, the Q2 VMR is available as a complimentary download.